That’s a lot of lost phones! 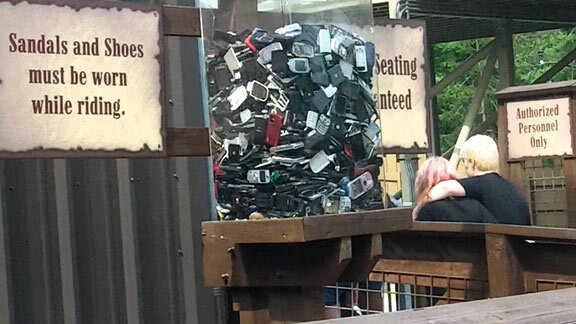 And most amusement parks are “not responsible for lost or stolen items.” In just one year, King’s Island’s newest ride, “The Diamondback,” collected $20,000 worth of nose-diving cell phones. So, at an amusement park, you have two options: Capture that amazing, face-melting footage of your wild ride, or keep your phone safe. At least, that used to be the case. With Phone Lasso, you can bring your phone wherever you go, without the risk of breaking or losing it. Go ahead; take your coaster selfie or motion-sickness-inducing video. With the insanely sticky Phone Lasso patch, you may lose your lunch, but not your phone!